DC’s Bombshells was the sort of comic that you could just pick up randomly, with zero understanding of the series’ plot—and immediately get sucked into some of the best story arcs ever written for the publisher’s most iconic female characters. 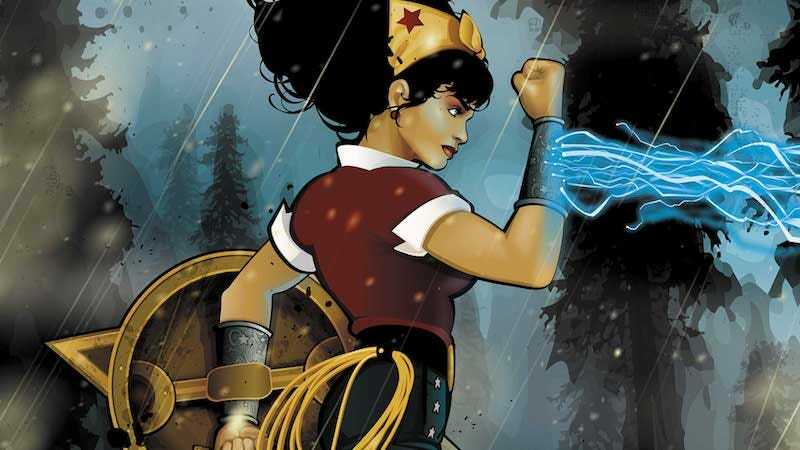 Set against the backdrop of the 1940s and the early days of World War II, Bombshells reimagined heroes like Wonder Woman, Mera, and Supergirl as unabashed feminists who joined forces to fight against the Nazis and an army of the undead. In the Bombshells United follow-up series due this August, writer Marguerite Bennett and artist Marguerite Sauvage will dig into the darker consequences of the war—like the internment of Japanese Americans—that transpired on the home front. The first issue of Bombshells United will be available digitally on August 25.